That’s the wonderful Gremlins reference on the back label of this new Chardonnay from Punt Road. Once again, I dip my lid to Tim Shand and the Punt Road team. You’ve done it again. It wasn’t always that way, mind you. A few years back Punt Road seemed like just another small/medium Yarra winery, sourcing fruit from all over the Valley and making good wines without really pushing the boundaries. That’s all changed within the last year or so, with Punt Road returning to purely estate-grown fruit (as of 2015 vintage), whilst pushing for a new era of experimentation and innovation at the same time, all leading to an absolute golden era for the winery. Winner, Most Improved Winery : Punt Road. For all that work this is susprisingly bright and vibrant, the style more about skin contact than oxidation. 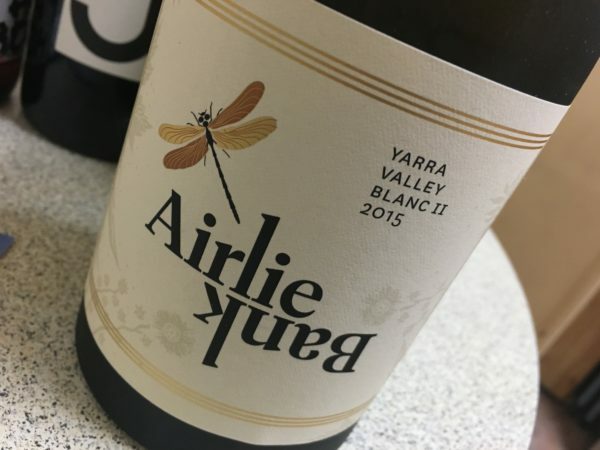 It smells of butter cake, old lemons and mothballs, leading to a palate showing an ever changing array of flavours ranging from honey lemon butter right through to grapefruit, the pithy, tannic finish complementing the surprising acidity nicely. I do love that tannic drive, and even though this is polarising, the layers of flavour, length and complexity make this seriously interesting and enjoyable. The second and third glass satisfy, which is always the kicker with a challenging wine. It could do perhaps do with a little more fruit power, but otherwise this is utterly convincing (and very well priced). Best drinking: 2016-2020. 17.8/20, 92/100. 12.5%, $22. Would I buy it? Oh yes. Only problem is that it is only available from Blackhearts & Sparrows or Prince Wine Store. Agree on Punt Road. I visited them earlier in the year. I was on my way to another winery and saw their sign and thought I’d pop in on a whim. Didn’t expect much but they ended up being as good a set of wines that a tried in my 2 days in the valley. I’ve got the new Pinot to open soon too. Thanks Andrew – for us all here it is very humbling to read your post, and your immediate comprehension of what we’ve undertaken here. We’ll keep ’em coming with support like this! Cheers Tim. Hope the condensed vintage is not causing any headaches.